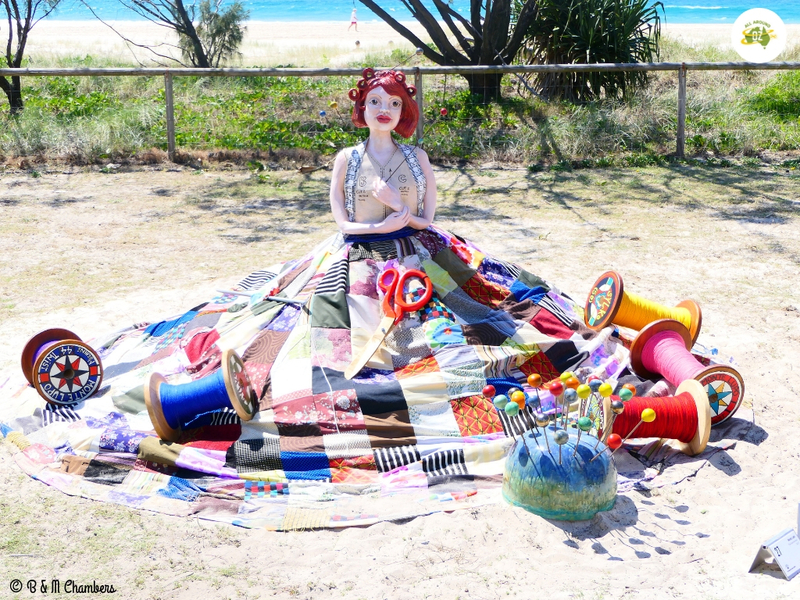 The SWELL Sculpture Festival has just kicked off here on the Gold Coast. Held on the stunningly beautiful Currumbin Beach, SWELL is now in it’s 16th year. This year will be my fourth year of attending SWELL and I think it gets better and better every year. This year, more than 35 artists have their work on display at SWELL. This Festival really showcases how many talented people we have in this country. Even if you are not particularly into art or don’t understand the meaning behind the pieces, it’s still so awesome to see some of the work and appreciate how much time and effort went into making them. Some of them are huge and would have required many hours of work to complete them. 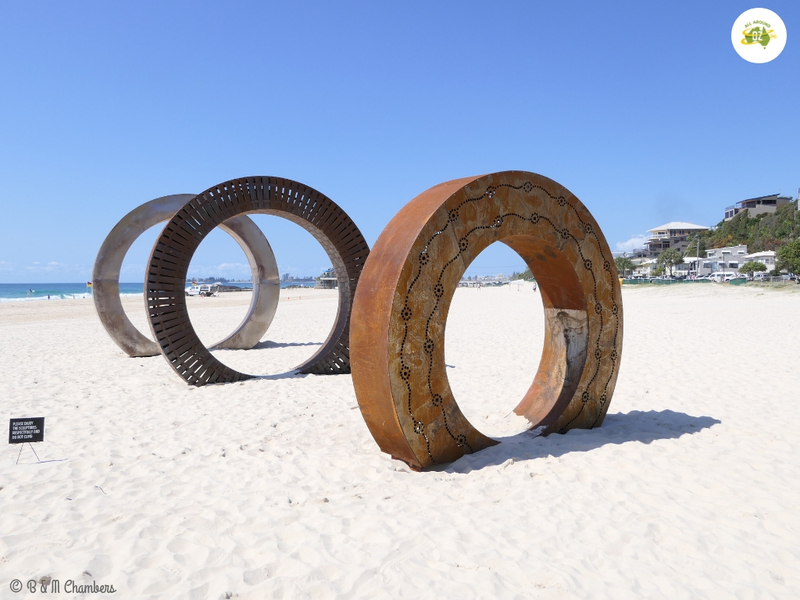 Currumbin Beach is the stunning location for the SWELL Sculpture Festival. 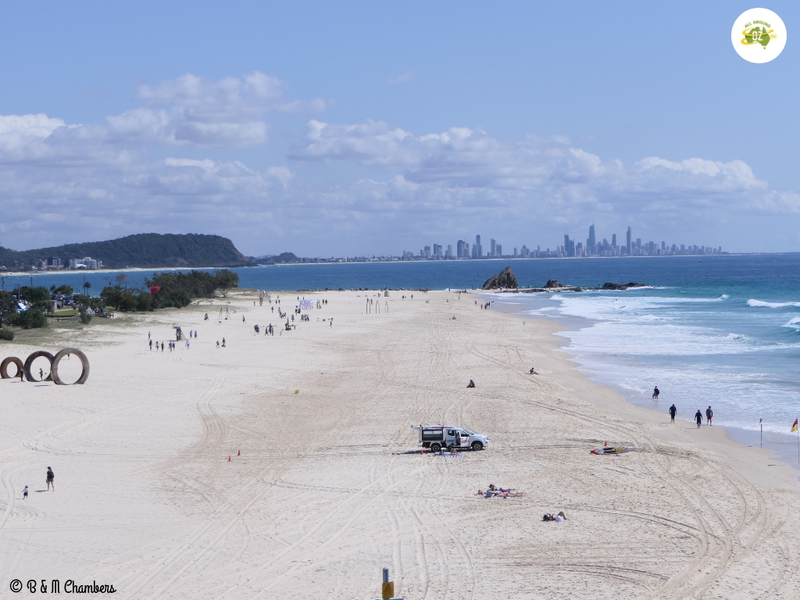 If you are driving, Currumbin Beach is located about a 20 to 30 minute drive south of Surfers Paradise. Parking around the area is limited so there is a free park and ride service available from Currumbin RSL. You can also park at Currumbin Wildlife Sanctuary for $10.00. There are also buses that run down to Currumbin Wildlife Sanctuary and from there it’s just a short walk. My recommendation is to get there early in the morning and you should be able to find a park nearby. So, in no particular order, here are my five favourites from SWELL 2018. Joy Heylen is a regular at SWELL. In fact she won the Grand Prize at last years festival. Her works are a blend of engineered Art and this years piece is no exception. This piece is a finalist in the Collaborative Team award. Embryo is a collaborative work and is a finalist in the Collaborative Team award. This was obviously a crowd favourite as well and I was lucky to be able to get a couple of shots with no one in it. Artist Jack Quilter comes from Murwillumbah in northern NSW. His series of three sculptures are made entirely out of scrap metal. Some of it was readily identifiable such as the mattock heads. Others I wasn’t so sure about. Set against the back drop of Currumbin Beach and the Pacific Ocean they were an impressive sight. 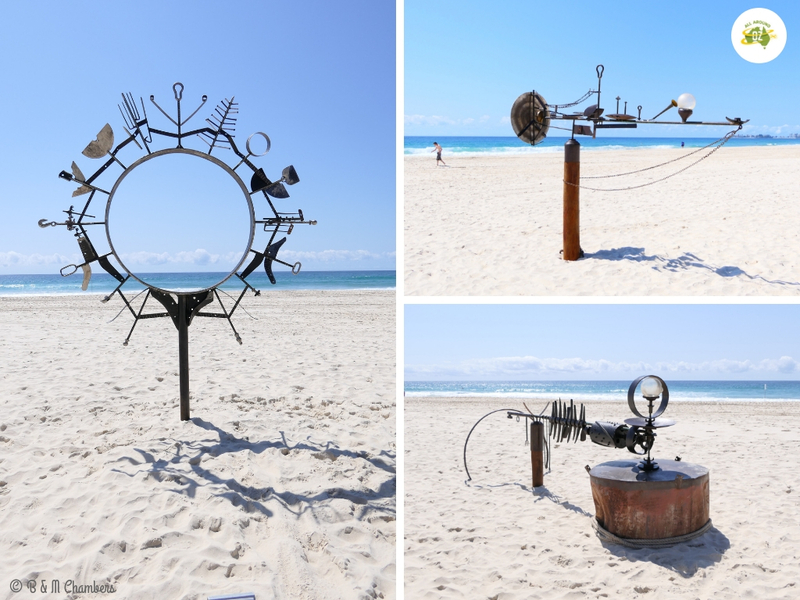 Jack Quilter utilises scrap metal in the making of his sculptures. A previous exhibitor at SWELL, Nick Warfield comes from the mid-north coast of NSW. He creates his visually dynamic pieces from waste materials. This years clever piece captures our Australian native dog beautifully. I love the colours and the expression on his face. 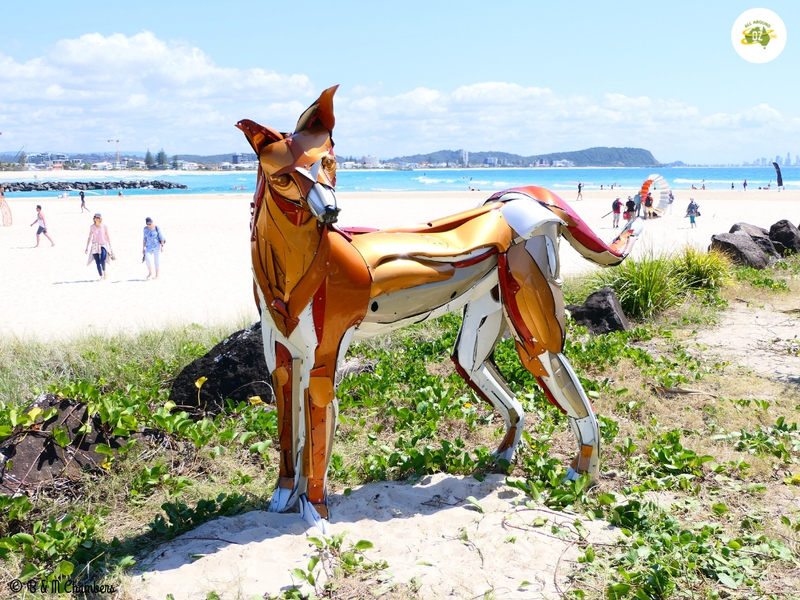 Dingo is made from waste materials. When I researched the artist for The Seamstress I discovered that Monte Lupo is an Australian Disability Enterprise which provides creative supported employment for people with a disability. The Seamstress is just one of their many beautiful and quirky designs. I loved the story it tells and how it reminds me of skills that have been lost by many. The Seamstress was created by artists from Monte Lupo Arts. 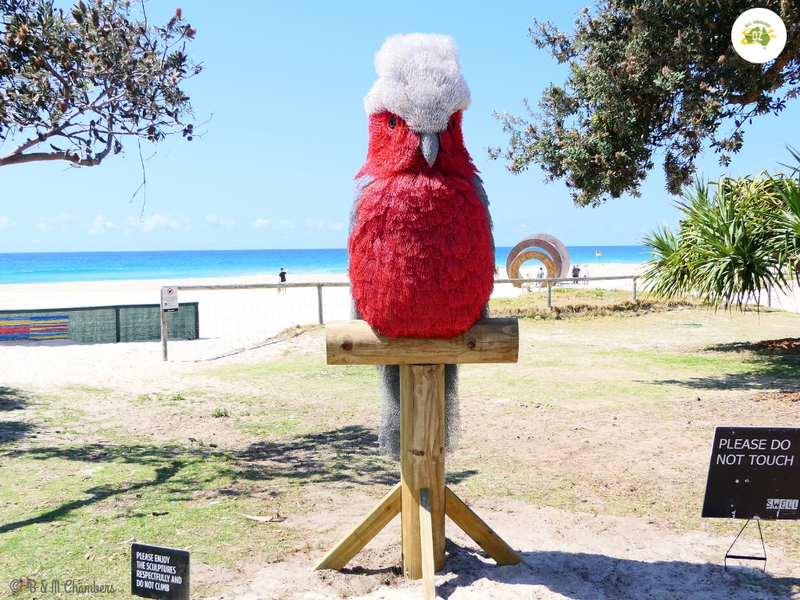 The SWELL Sculpture Festival 2018 wraps up on the 23rd September. If you are visiting the Gold Coast during this time, I highly recommend that you come and check it out! For more information visit the SWELL website. I arrived here on the day they were packing up! I was really disappointed to miss it this year. I love the Galah! This looks amazing. I’ve always wanted to go to this festival, but I had no idea the art was so, well, artistic! So much talent. I think I like the dingo the bet, but they are all great. Yes the talent is incredible! So many clever people around. That’s a shame….you should put it in your diary for next year! I love the galah too. Have a look at my posts for previous years to see some of his other work. He’s very talented. The dingo caught my eye as well. I’m another big fan of art and sculpture on the beach. My favourite is the dingo! Yes he was very cool. I would love to go to Sydney one as well. I LOVE events like this. As for my fave of the pics? It has to be the giant galah. Yes I have to confess the galah was my favourite too…..and the name!